Do you have questions about our Cotek battery chargers, or questions about solar in general? Give us a call at 1-800-472-1142. Cotek's line of 12v and 24v CX chargers include all of the features you expect from a high quality battery charger. Cotek CX chargers are compatible with all common battery types including Lead Acid, Li-ion, Gel and AGM. Cotek chargers have some of the most advanced safety and technical features out of any battery charger and in our experience Cotek products are extremely high quality with some of the lowest failure rates in the industry. Cotek CX chargers are available in 12v and 24v versions in a wide amperage range. Cotek CX battery chargers are ideal for use with a generator in an off-grid system for recharging batteries as a backup power source during equipment maintenance or prolonged periods of overcast weather. 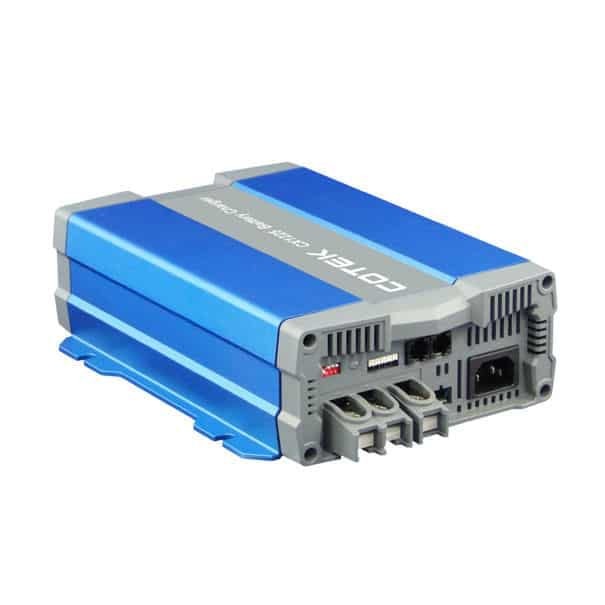 Most off-grid systems will need a battery charger and backup generator and the Cotek CX chargers are ideal for inverter systems where there is no built-in battery charger such as Cotek’s line of high quality sinewave inverters. CX chargers can also be used in battery-backup applications and are used in our own Rolling Thunder RT-1000 backup unit. Established in 1986, COTEK Electronic is based in Taiwan and supplies quality DC/AC offgrid sinewave inverters for industrial, backup power, renewable energy and recreational applications. Cotek has grown leaps and bounds over the past 25 years and today it serves an ever-increasing global market. Their success stems from a mission to offer a good price point without compromise to quality. With state of the art quality control and management systems in place, COTEK has achieved a product defect rate under 100ppm or less than 0.10% and are committed to cutting that number in half. Behind every successful renewable energy company is a great Research & Development team. 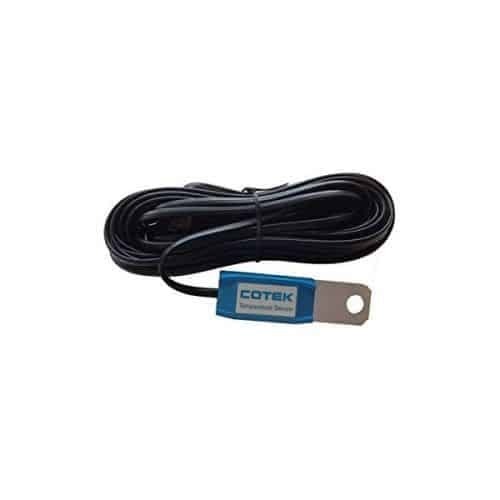 COTEK is no exception. Their R&D team includes eight electrical engineers with over twenty years of experience. Their combined expertise spans various aspects of electronics including High Voltage, High Power Transformer, Analog, Digital, Microprocessor, Linear and Switching Mode Technologies.